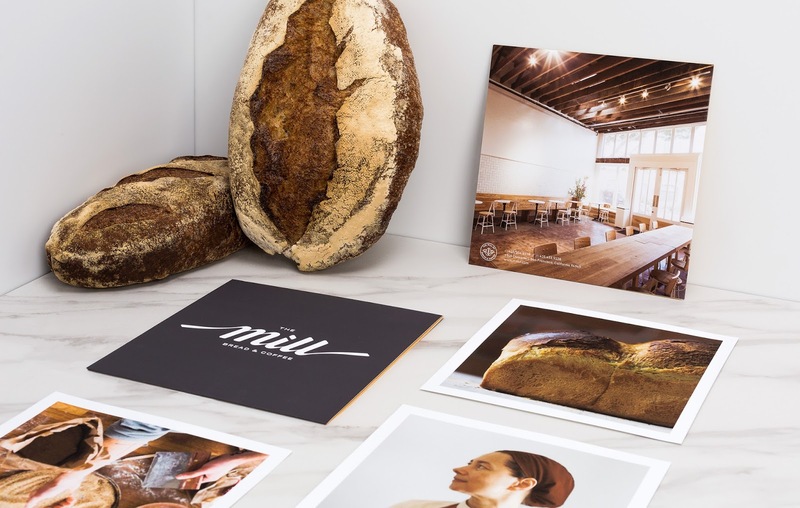 Josey Baker Bread and Four Barrel Coffee came together to create The Mill. 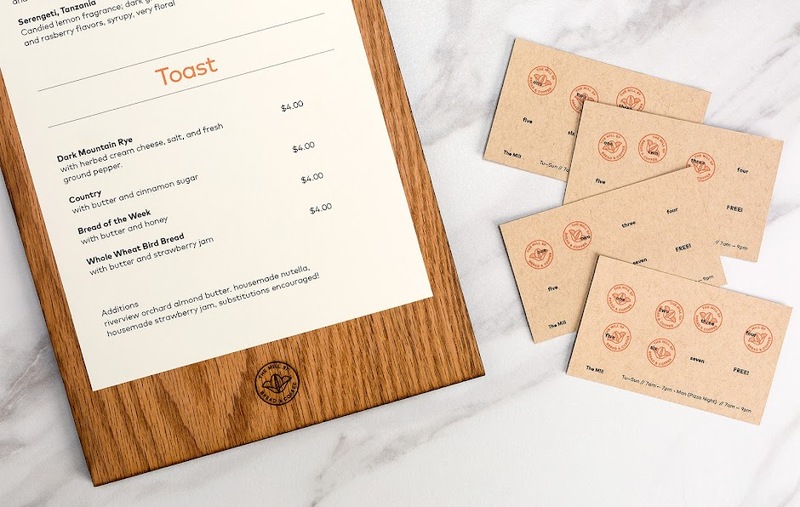 Their cafe is located in Alamo Square in a naturally lit, open space. In the collaborative and communal spirit, no wifi and outlets are available inside the cafe. This is to encourage real life interaction and give us a break from our fast-paced, technology driven lives. Some of the cities best coffee and freshly baked bread can be found at The Mill. 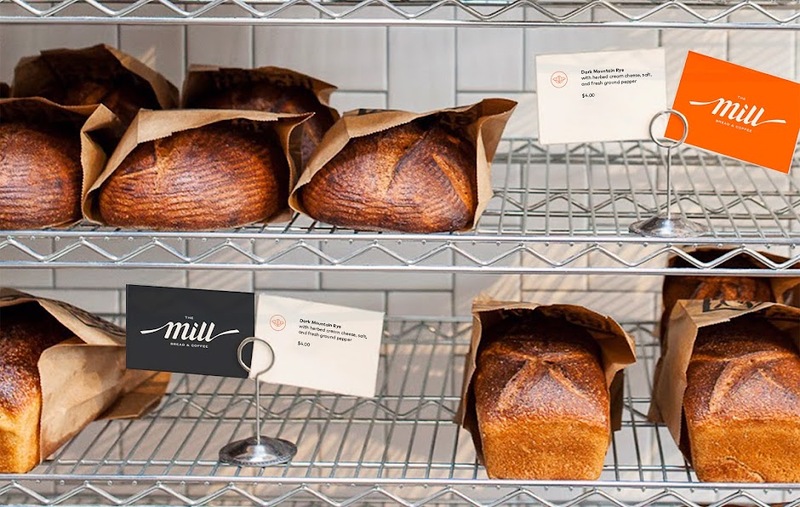 It is their belief that the best loaf of bread is from your neighbor and The Mill prides themselves on being that neighbor. In an industry that is already highly designed, it is important to take a fresh approach. 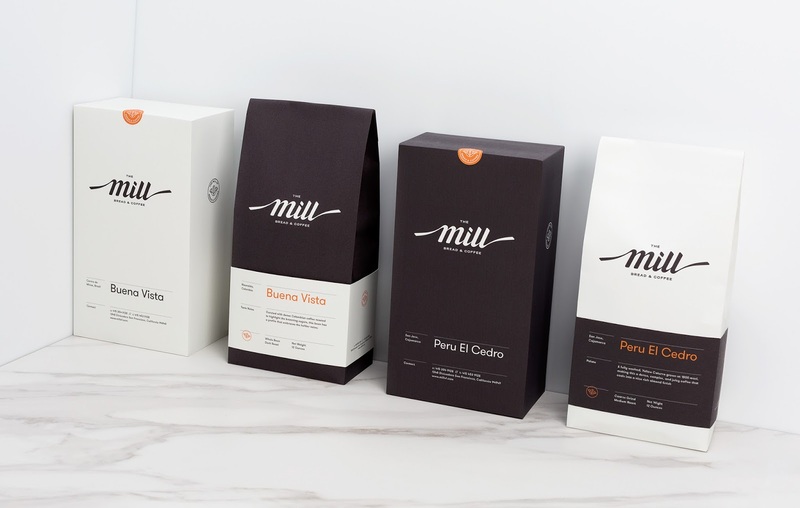 The redesign aims to transform The Mill into the neighbor they would like to be — forward thinking, warm, and genuine. 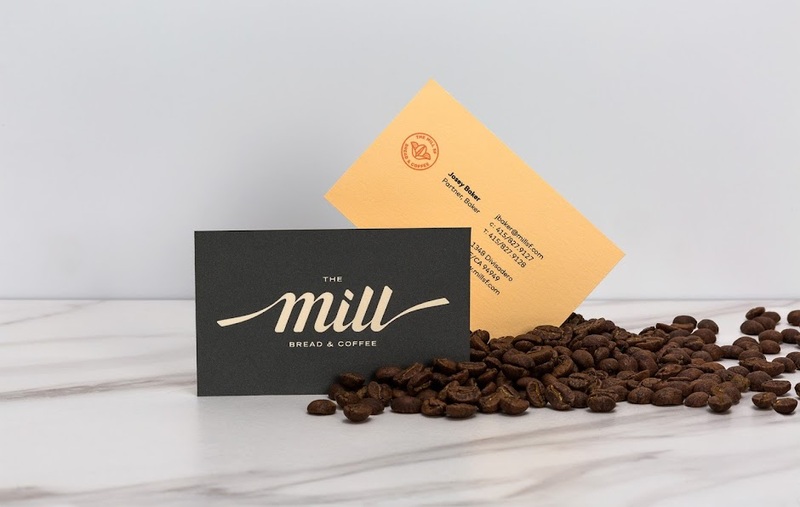 The core essence of The Mill is captured in an outreaching, fluid wordmark. 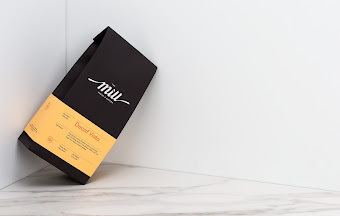 The Mill is, above all else, a collaborative effort. Two entities under one roof with one name operating independently. It is the first of its kind in San Francisco and, so far, extremely successful. 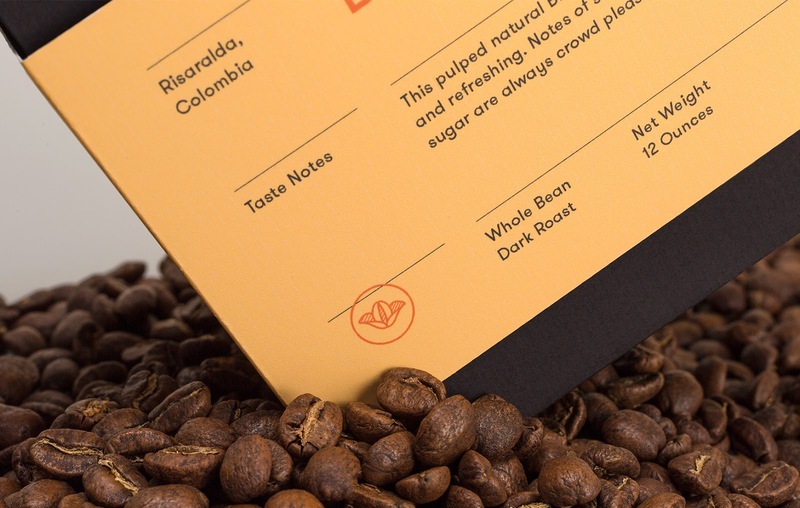 A variety of wordmarks were drawn and explored before landing on this lettering style. Each letter flows into the next to create a pattern of positive and negative shapes. This pattern brings to mind the rolling hills of the city, a sliced loaf of bread, and all things communal.